Saint John’s offers a regular Wednesday Eucharist at 11 am in the Church. Our Wednesday Eucharist (11:00 a.m.) is a wonderful way to have a spiritual refresher during the week, especially if you’ve missed the Sunday liturgy. We offer Holy Eucharist, a reflection of the Saint of the Day, and optional prayers for healing with anointing of oil. This Wednesday service will run continuously from now through Christmas without interruption, except for the Advent Clergy Retreat on November 29. Bible Study is also offered following the Wednesday liturgy at Noon. We currently study the lessons for the upcoming Sunday, with ideas for what the rector might preach about that Sunday. The Bible Study is not offered on the 3rd Wednesday because that is a Deanery Clergy Lunch, so only the Eucharist is offered on the 3rd Wednesday. 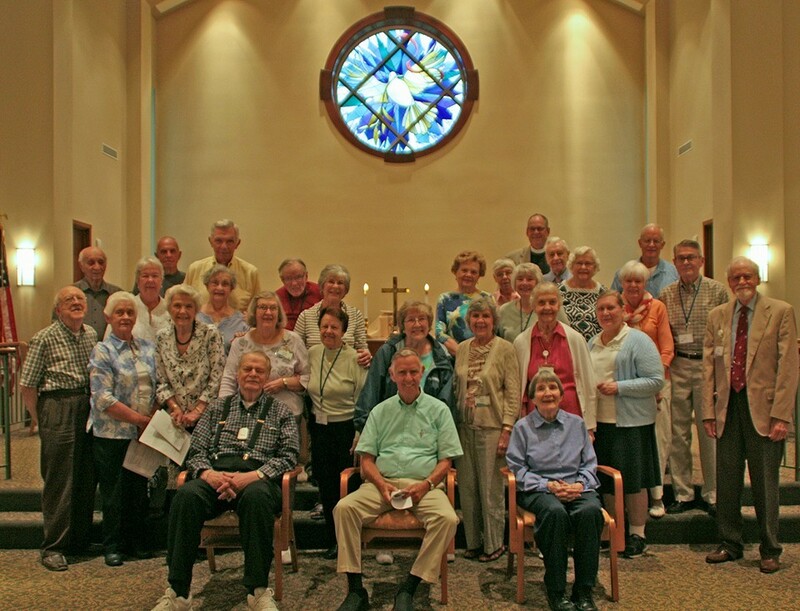 Saint John’s also offers a regular Third Thursday Eucharist at the Maris Grove Retirement Home Chapel. It is open to visitors as well as Residents of Maris Grove, and is a great convenience for Saint John’s Members who move to Maris Grove and other Episcopalians who are looking for an episcopal worship service during the week.